sonic characters. . HD Wallpaper and background images in the Sonic Characters club tagged: sonic characters. This Sonic Characters wallpaper might contain anime, komik, manga, and kartun. i can show you were blaze is. 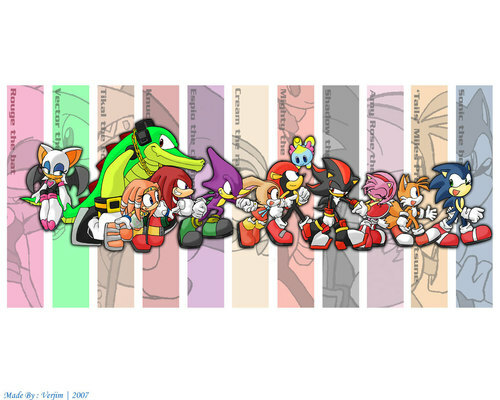 thats all sonic characters from the show!!!!! Really awsome picture of most of the characters!